The NHS Roadshow are helping local groups to stop the Tories wrecking our NHS. Their factsheet (PDF) is a treasure of key points. The NHS Roadshow are helping local groups all over the country in fighting to stop the Tories getting back in and wrecking our NHS. 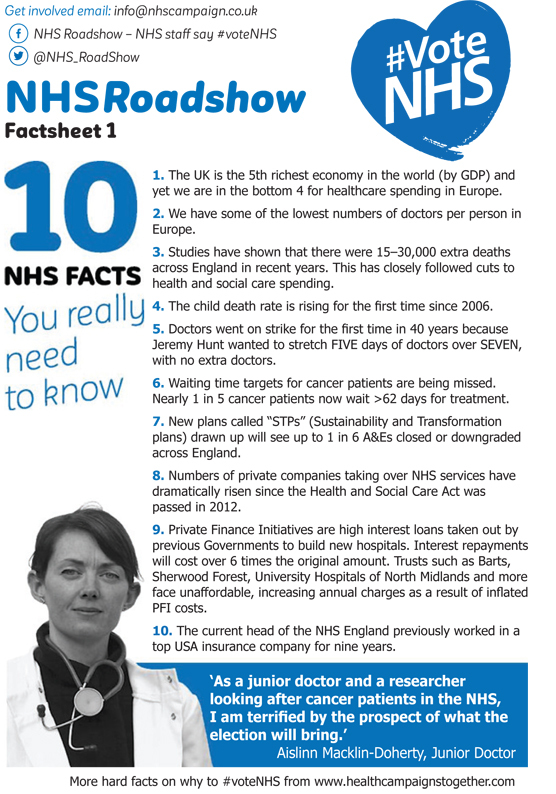 Their factsheet is a treasure of key points any group can use. A5 double sided, 10 facts per side. Sobering but powerful – order yours today.